Nigel Stark is the managing director of Hauptwerk Systems UK. 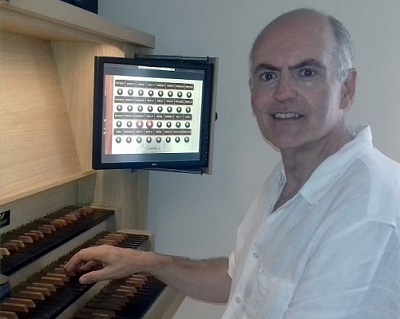 With a background as a professional musician and with experience of working in the electronics field, he formed this company initially to help organists discover the world of the Virtual Pipe Organ using the Hauptwerk software. After some time doing this, he realised that there was a demand in the UK for complete organs where no knowledge of computers or electronics was necessary. This coincided with an approach from Noorlander to represent them in the UK. This was perfect timing as Nigel was looking for a supplier of quality consoles. The range of models suitable for home use was very appealing and after visiting Kees Noorlander in Holland and seeing the way in which he and his team worked to produce high quality instruments with innovative design, Nigel was pleased to become the UK dealer. The partnership has been most cordial and productive with a steady stream of orders for home practice instruments. The most popular model being a 3 manual ‘Fugara’ followed by the compact ‘Avanti’. Our clients range from top professional organists to keen amateur players, some of whom are returning to playing after a number of years. An interesting development is a number of enquiries from churches, looking for a replacement organ. This is a market we are keen to develop and as a result we returned to Holland in February 2018 to see some Noorlander church installations. 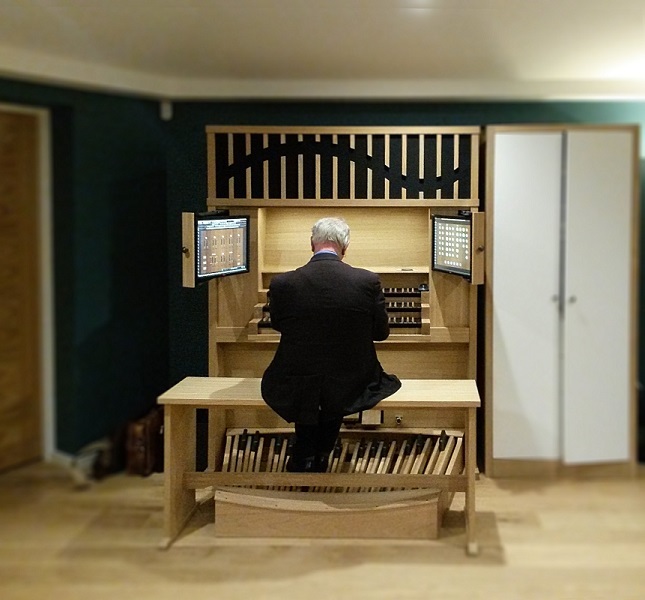 The latest order is a large custom built ‘Fugara’ for a customer who already had a top of the range digital organ (from a well known American maker) at home. After visiting a HW Systems UK demonstration instrument, he was so impressed that he decided to change his organ for a Noorlander. Hauptwerk Systems UK look forward to many years happy association with Noorlander. For more information visit the Hauptwerk Systems UK website www.hauptwerksystemsuk.co.uk.